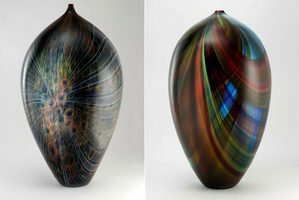 His greatpassion for the subject-glass led him, in a short time, to obtain the status of "First Teacher" in Glass Amphora. Passionate performer of the antique models with an extraordinary fineness of hand, began soon the realization of works designed by him, in which enhances the traditional techniques in a modern complex, qualireticello, incalmo, zanfirico, etc. submerged. 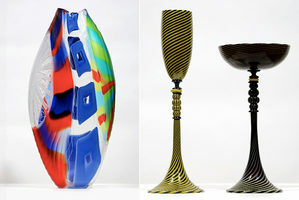 Great artists and contemporary designers entrust to him the realization of its prestigious works in glass. Stand out as his collaborations with Yoichi Ohira, Ritsue Mishima, Cristiano Bianchin, Michele Burato (which for his work usingglass Bull-sey), Massimo Micheluzzi, Maria Grazia Rosin, Silvano Rubino, Emanuel Babied, Melvin Anderson, Peter Pelzel and others. 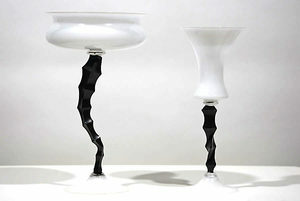 Andrea Zilio taught in the important Pilchuck Glass School of Seattle and has worked closely with the Glass School Abate Zanetti of Murano. 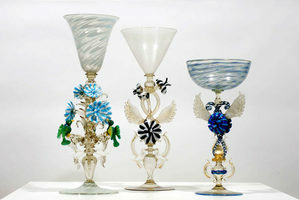 The first exhibition of his works was to "Aperto Vetro" in 1996 at the Glass Museum of Murano, where in the "Contemporary Glass" is permanently exhibited his work. 2000. 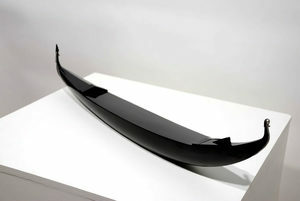 Selected by the Corning Museum of Glass with the work "Caragoi"
2001. Publication on the cover of the opera "Caragoi" magazine "New Glass"